SKU: ZM50211. Categories: Childrens, Sports & Recreation, Martial Arts. Tags: children & youth training, martial arts, taekwondo. The readers are introduced to special characters who will be with them throughout the book. They will meet 9 year old Kira, 12 year old Mike, Joanne who is 11 years old, 10 year old Farid, and Suko, who is the oldest at 13 years. Because these characters are all at different training levels, they will be able to show the reader different techniques based on their level and which ones will take them to the next grade. Taekwondo Kids is beautifully illustrated and four-color throughout. They will learn about Taekwondo’s history, the warm-ups, practices, positions, exercises and so much more! When they follow the instructions in this book, they will learn this martial art well. 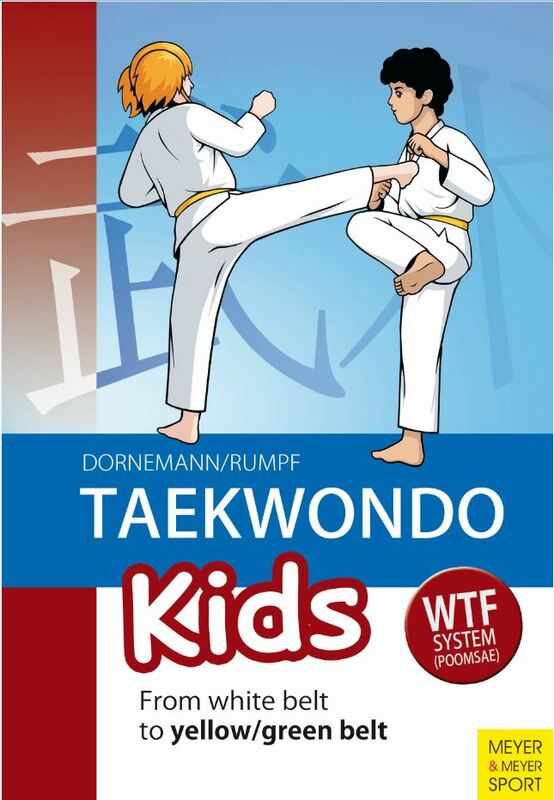 Taekwondo Kids is written in the form of a course textbook. The individual sections of the book are arranged according to belt grad, and in addition to the comprehensive lead into the sport itself, all the respective techniques and exercise forms in Taekwondo are included for advancement to the next belt grade in the WTF (World Taekwondo Federation) System.